Alpesh Thakor, the convenor of the Gujarat OBC Ekta Manch and leader of the local Thakor Sena, met with Congress VP Rahul Gandhi on Saturday. The Congress received a boost on Saturday ahead of the Gujarat Assembly polls, with backward class leader Alpesh Thakor announcing his decision to join the party, after a meeting with Rahul Gandhi. The announcement came hours after the Congress, which has been out of power in Gujarat for over two decades now, invited Patidar quota stir spearhead Hardik Patel, OBC leader Alpesh Thakor and Jignesh Mevani, a protagonist of resurgent Dalit politics in the key western state, to join the party. Thakor, the convenor of the Gujarat OBC Ekta Manch and leader of the local Thakor Sena, has considerable influence among backward classes. Thakor, accompanied by Congress general secretary incharge of Gujarat Ashok Gehlot and state party chief Bharatsinh Solanki, met Gandhi at his residence in New Delhi this evening. Soon thereafter, Thakor said Rahul Gandhi would attend a rally organised by him on October 23 where "I will join the Congress party". Solanki said Thakor met Gandhi with his "team" and decided to join the Congress in the interest of Gujarat. Earlier in the day, Solanki held a press conference in Ahmedabad where he said the Congress party has invited the three top leaders of different communities to join the party to ensure the defeat of the BJP. 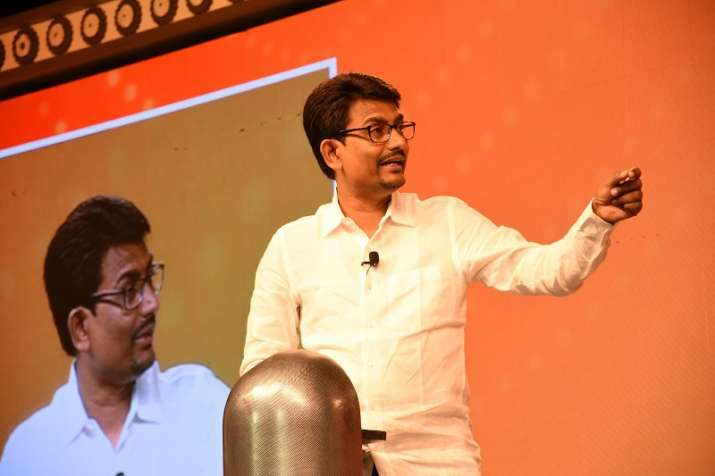 Solanki expressed confidence that the party would easily win over 125 seats in the 182-member House with the "support and blessings" of all these leaders. "Though the BJP is trying its best to win the polls, it will not succeed in stopping the Congress' victory march to Gandhinagar. "We respect as well as endorse the cause for which Hardik Patel is fighting. I appeal to Hardik to support the Congress during the polls. We are also ready to give him a ticket if he wants to fight elections in the future," Solanki said. "Similarly, we also invite Alpesh Thakor and Jignesh Mevani to join hands with the Congress. I also invite Chhotu Vasava, who helped us in the Rajya Sabha polls, to support the Congress," he said. Chhotu Vasava, the lone JD(U) MLA in Gujarat, had voted for Congress candidate and party chief Sonia Gandhi's political secretary Ahmed Patel in the recent Rajya Sabha elections in Gujarat, defying his party leadership. Patel won by a wafer thin margin. Apart from these leaders, the Congress also hinted at forging a pre-poll alliance with Sharad Pawar's NCP. In the Rajya Sabha polls, two NCP MLAs claimed to have voted for BJP candidate Balwantsinh Rajput despite their promise to back Ahmed Patel. Hardik Patel, the Patidar leader who spearheaded a prolonged agitation for reservation in government jobs and educational institutions for people of his community, was rather tepid in his response to the Congress' invitation. "It is a political stunt, coming as it does just before the elections. I cannot contest elections myself because of constitutional provisions, nor do I want. Since an invitation has been extended, our leaders will consider the proposal," he told a TV news channel. Patel, whose quota stir often turned violent resulting in the death of several people in police action, is aged 24 years. The minimum age required for a person to contest an Assembly or Lok Sabha election in is 25.